Classics Custom Dark cymbals undergo a special finishing process that leaves the cymbals with dark and complex tones along with the clarity, cut and volume that Classcis Custom is known to deliver. 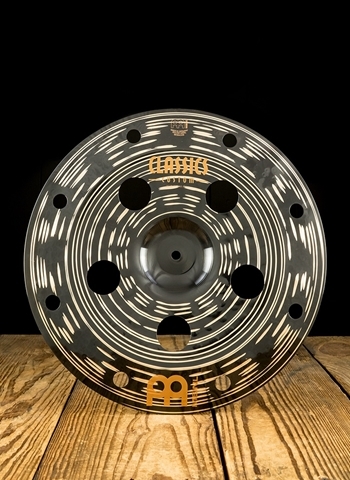 This same unique twist on the traditional design gives the cymbals a rich, dark appearance. Widely spaced deep hammering and additional lathing round out their tonal qualities, giving them a warmer mix of sound along with an explosive response.